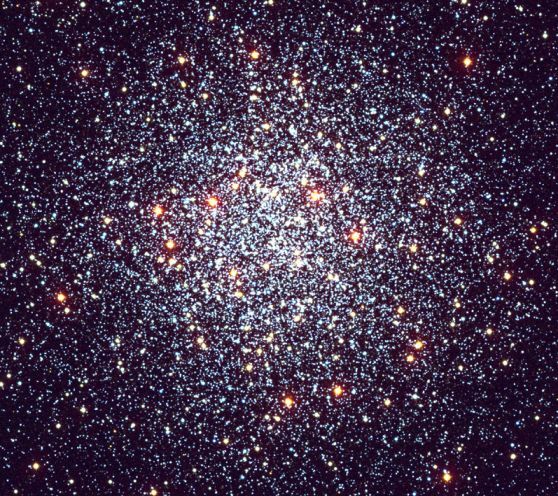 Explanation: The fifty-fifth entry in Charles Messier's catalog, M55 is a large and lovely globular cluster of around 100,000 stars. Only 20,000 light-years away in the constellation Sagittarius, M55 appears to earth-bound observers to be nearly 2/3 the size of the full moon. Globular star clusters like M55 roam the halo of our Milky Way Galaxy as gravitationally bound populations of stars known to be much older than stellar groups found in the galactic disk. 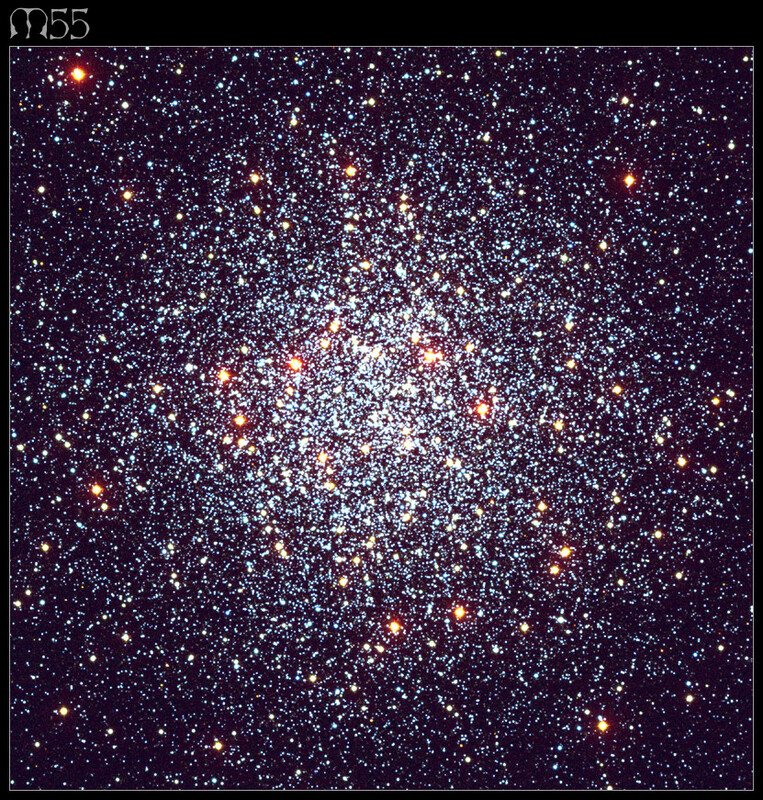 Astronomers who make detailed studies of globular cluster stars can accurately measure the cluster ages and distances. Their results ultimately constrain the age of the Universe (... it must be older than the stars in it! ), and provide a fundamental rung on the astronomical distance ladder. This stunning three-color image made with astronomical (BVI) filters spans about 100 light-years across the globular cluster M55.